Pre-shave oils come in all consistencies– thick (think… AOS), thin (think… T&H) and everything in between. This oil from Anthony Logistics falls somewhere in between, perhaps a bit closer to thick. With the added ingredient of peppermint, it certainly complements it’s shaving cream to allow for quite an invigorating shave. For pre-shave oils, I like to test them with a varied selection of shave creams to get an honest determination of it’s performance. As for Anthony’s pre-shave oil, I never once had a sub par performance. 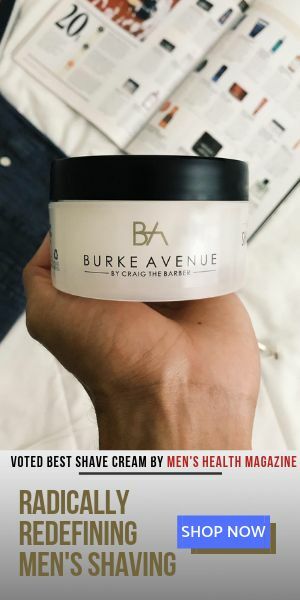 There were no limitations that it created when working up a good lather with other creams, and it allowed for a close and comfortable shave across the board. The only challenge that this oil has is it’s peppermint fragrance. Since there are so many non-peppermint scented shave creams on the market, it can potentially compete with other creams fragrances making the combination slightly unappealing; think a cream with an ocean scent and the peppermint oil mix. With that in mind the Anthony oil fragrance realistically only compliments a few and of course their own…well, perhaps that’s what they were going for! When I used it I felt it smelled more like motor oil than peppermint. That was over a year ago though so they may have just added it. 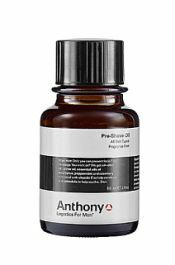 Personally, I like most all of Anthony Logistics products but did not like their pre-shave oil both for the smell (at the time) and it’s thickness. I prefer American Crew or The Grooming Lounge’s oil.